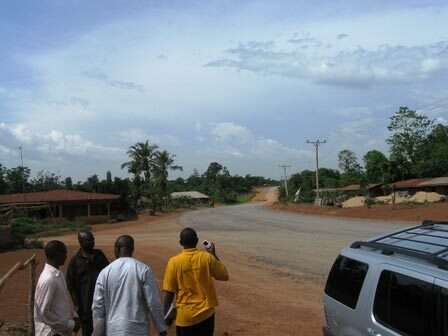 Ikwo is the largest Local Government Area in Ebonyi State. It is situated on the eastern part of Ebonyi State. It has a land mass of approximately 500 kilometers and shares a border with Abakaliki and Ezza Local Government Areas. 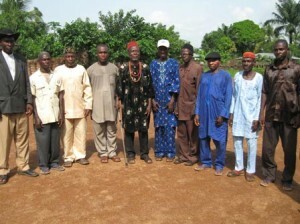 The people of Ikwo are believed to be the descendants of Noyo. They share common beliefs, customs and traditions with the people of Abakaliki. The Ikwo people celebrate Igbo culture in many and varied ways. Traditional kola nut presentation is used to welcome guests and is required during some traditional rites and ceremonies. The Aji and Nefioha festivals are among the popular cultural ceremonies in Ikwo. Ikwo has a semi-tropical climate with plenty of rainfall. During the rainy season, lush vegetation, thick forests, ponds and small pools mark the landscape. Also featuring on the landscape are several rock formations, the Ikwo River and the Cross River (which marks the border with Cross River State). The people of Ikwo are mostly farmers. Rice, yams and cassava are the most popular crops. Ikwo is regarded as the largest producer of Abakaliki rice and a top producer of palm wine. Ikwo is also endowed with abundant natural resources that are largely untapped, including lime stones at Agubia, Echara Ukwu in Eka Awoke, lead zinc and salt in Ameri and Ohankwu, and laterite deposits in various parts of the community. Ikwo is the home of the present Governor of Ebonyi State, Chief Martin Elechi (MFR). It is also the home of Ebonyi State College of Education at Onuebonyi Echara, the Ameri Salt Pit and several mines at Ohankwu and Ameri. Ikwo has several sites that have great tourist potential. These include the Oferekpe Beach, the Illi Noyo at Ekpelu Umuaka (the ancestral home of Ikwo Noyo clan), the Norwegian Water Reservoir at Amagu, the rocky hills formation in Amagu, Okpuitumo and Otagbara, and the Ogagbo Igbudu Beach at Ogagbo Igbudu.